Torsa ceilidh band has built up a fantastic reputation over the last few years as one of the best ways to have fun at wedding or party in Scotland. Torsa is led by Grant McFarlane, finalist in the BBC Young Traditional Musician of the Year 2017 and a graduate of the Royal Conservatoire of Scotland. The band consists of accordion, fiddle and drums with all dances explained, and the steps demonstrated if necessary, so that even beginners can join in the fun. We offer a 2 piece band for more intimate events and a fuller four-piece line-up, with the addition of piano, for an even larger sound. Please note, instant quotes are based on prices for the three piece band. If the ceilidh gets too much, we also include a disco in our set up so you can dance to the latest chart hits plus all the classics too. We've performed all over Scotland in venues from castles and stately homes to church halls and conferences. We use state-of-the-art equipment and are passionate about what we do. Add us to your short-list and get an instant quote or contact our team at Hire A Band who will get right back to you. When you book us through Hire A Band, you'll get the back up and support of the biggest name in wedding entertainment in the country and you'll always be quoted our direct fee, so get in touch today. When deciding on which band to hire for your wedding in Glasgow, if it's fun and laughter that you are looking for then Torsa Ceilidh Band is the one for you. Based in Paisley we are happy to travel across Scotland. The band was excellent. They were great musicians and we loved the ceilidh music and dancing. It was good to have instructions for those that did not know the dances. Everyone at the party said how much their enjoyed the ceilidh. We liked having a disco section in the middle and the band looked after this too, putting on songs that we had requested and judging if the music was right for the crowd. The dance floor was full all evening with ceilidh dancing and disco dancing. A member of the band kept in close communication with me, asking if everything was ok and whether the format was going according to plan. I appreciated this support because it was a busy night being the host. The final section of the night with more ceilidh dancing and rounding off dances was superb. It was all very professional and well judged by a great band. Thanks for making our wedding party such a memorable celebration. Great venue, too! We had a brilliant experience with both HireaBand and Torsa (Scotia) Ceilidh band. Hireaband was very easy to use and informative, with the team checking in with us regularly and ensured all paperwork was handled efficiently. Grant, Mhairi and Graeme (aka Team Torsa) made our lives very easy in the build up to the day and the wedding reception itself. They were super understanding and efficient about the lateness of our playlist, were very organised on the day with the set up and first dance, and dj'd our playlist perfectly during the main part of the night. Grant was fab at calling the ceilidh, with Mhairi coming onto the floor to help out during the trickier dances. Graeme even added a bit of extra drumming during the DJ set - we would highly recommend them for anyone looking for a spirited ceilidh that is also friendly to inexperienced guests! Band were punctual and very professional at my daughters wedding and would certainly endorse them as their sound is quite unique and they did quite a few quirky adaptations of well known songs which went down well with the guests at the wedding. We used Hireaband to find a group to play at our joint 30th birthday ceilidh. The website was really easy to use and having several sample tracks from each band made choosing so much easier! We went with Torsa in the end who were absolutely fantastic! Big thanks to Karen and Julie who arranged the whole thing and even when there were a few changes to the contract required, the amendments were made and contract re-sent within minutes! Great service! My partner and I, along with all of our guests, would like to say a massive thank you to Torsa for putting on a fantastic ceilidh for our joint 30th party. The band were very friendly and were set up and ready to go in plenty of time. Our guests varied in their experience from complete novices to old hands and the band were very helpful in getting everyone up and dancing away! They were flexible in terms of their set list and went with the flow of the evening. At the end of the night they were packed up promptly and didn’t require any assistance which made the whole experience very easy for us! "It was good to see how everyone joined in the dancing, and thanks to the band, found new skills at Scottish country dancing they never new they possessed!!". Please pass on our thanks to the band, and certainly I can recommend them to anyone looking for a good ceilidh band for a good evening. And thanks to you at Hireaband for making the whole process of finding and booking a band so hassle-free. It can be pretty daunting to find a good band suit the occasion, but this is the second time we have booked through Hireaband, and we have not been disappointed on either occasion. We booked Torsa for our wedding reception after hearing them perform at our work's Christmas party - they were brilliant!! My husband & I love that whilst they play all the classics they have a musical diversity better than any other band out there. The MC was hilarious and so much fun - I would choose Torsa every time! I booked Torsa for a fundraising ceilidh and they really made the night a great success. Their music was excellent and the MC was great at getting everyone upon their feet! Enjoyed the night so much and after lots of praise from our guests we booked Torsa again for the following year. Once again we were not disappointed. Previously our church had been using another Ceilidh band who are very good.As they were unavailable, Torsa were recommended to us. I have never before heard the level of applause given at the end of the night, as I did for Torsa. The feed back we received after our event was that the Ceilidh band were the best they had ever heard. We will always look to book Torsa first now! Would just like to say a huge thank you for a great performance at my wedding! What a fantastic ceilidh band and great fun - we would definitely recommend you highly to anyone looking for a ceilidh band on their wedding day. Wonderful night last night! 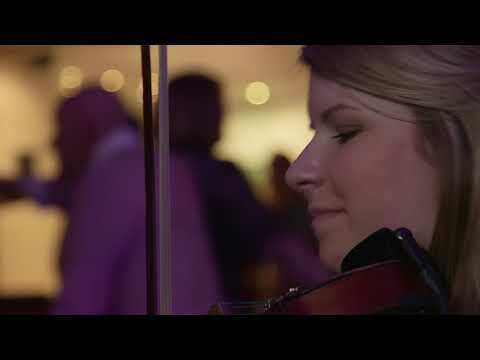 I would highly recommend Torsa Ceilidh Band for any occasion. They play a wide range of music and Jim is an excellent compere who keeps you on the floor all night. They are all very friendly, very experienced and confident musicians.